Hurrah! Gelato in the Square is back again this month. In Leicester we’re already lucky enough to get to enjoy world class gelato every day of the week at Gelato Village, but from 26 – 28 October you’ll be able to enjoy a range of other delights as some of the world’s top Gelatieri join us for the event. Throughout the festival there will be a series of events and talks, but read on because here we have the first look at the gelato flavours that will be presented during Gelato in the Square. With some wildly unique flavours this is really a unique chance to enjoy some of the finest gelato you can find anywhere in the world. 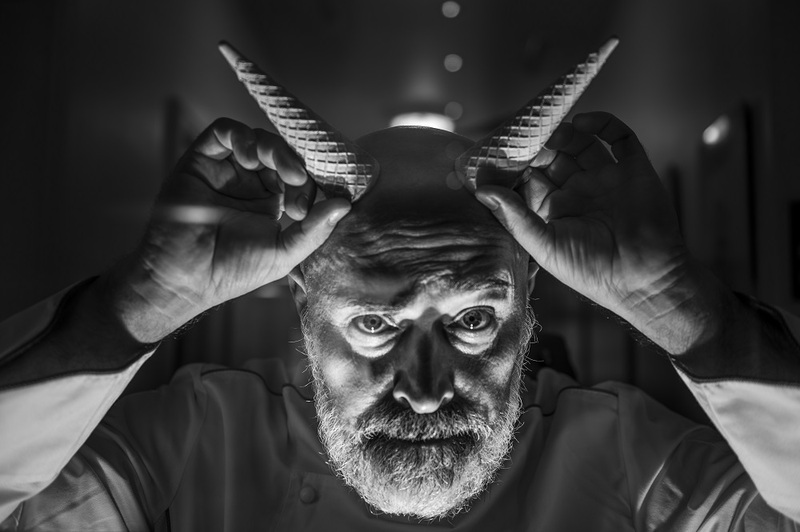 This year’s theme is ‘Gelato: a unique flavour journey’ and the gelatieri will be taking this as their inspiration to craft bespoke gelato which showcase their very best ingredients. 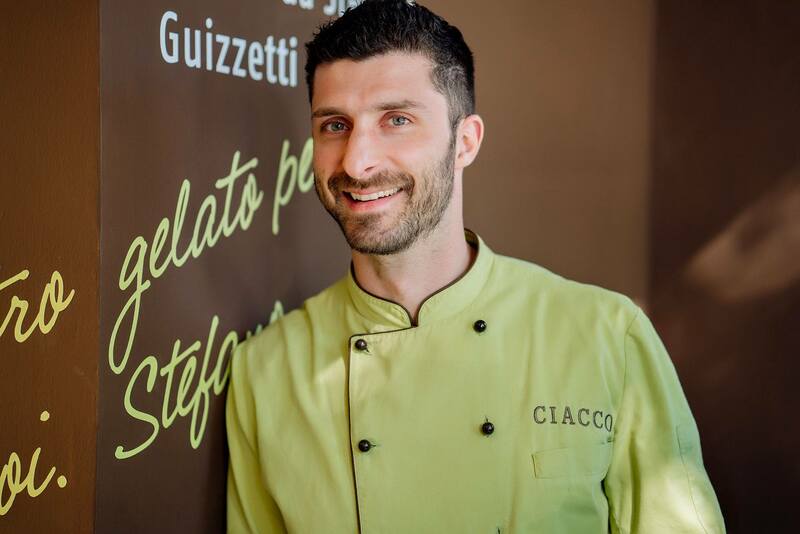 There are two Ciacco gelatierias run by Stefano – one in Milan and two in Parma. These are located in the Lombardy and Emilia-Romagna regions of Northern Italy. This rich gelato is made with eggs, cream and butter. The butter comes from the same milk that is used to make Parmigiano cheese. The richness is offset with the aromatic earthiness of sage, which has been fried in the same butter. The flavours are typical of Stefano’s adopted city, Parma, where tortelli pasta (a larger version of tortellini) are dressed with butter and sage. It also invokes childhood memories of the ravioli that is typical of Stefano’s home region in Lombardy. This sorbetto is made with raw materials that share tropical origins. Together in delicate balance are Santo Domingo cocoa, Agricole rum (made from sugar cane, not by-products like molasses) and super hot Trinidad Scorpion chilli. The Sicilians are coming! 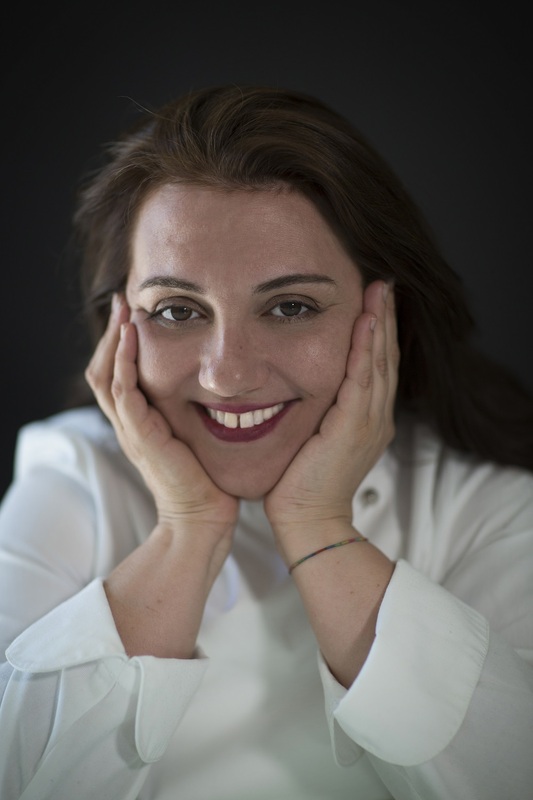 Giovanna comes from a family of gelato makers who have taken inspiration from the rich and diverse food heritage in Sicily. A gelato where the star is the celebrated Bronte pistachio from Sicily, Giovanna’s home. The pistachio is paired with mandarin zest and additional texture comes from homemade pistachio brittle. Bronte is a village on the slopes of Mount Etna that is deeply entwined in ancient mythology. ‘Bronte’ means thunder and was the name of one of the Cyclops in Greek Mythology. Toasted almond with lemon zest and homemade almond & chocolate brittle. This gelato is named for the great Sicilian author Luigi Pirandello. Winner of the Nobel Prize for Literature, he described how the ‘forests’ of almond trees give life and add greenery to Sicily’s landscape as they can withstand the dry conditions. Originating in Sicily, granita is similar to a sorbetto but has a coarser texture. Made with Sicilian lemons, it is the perfect balance of sweet and sour. Our Maestro Gelatiere love to experiment with fresh flavours. Although gelato, sorbetto and granita must have sugar in to give them their structure, the overall taste does not have to be sweet. These experiments are described as ‘gastronomici’. Sicilian born Gianfrancesco opened his first gelateria in Pisa in 2004. He was dedicated from the start to the selection of the highest quality ingredients to create clean flavours. 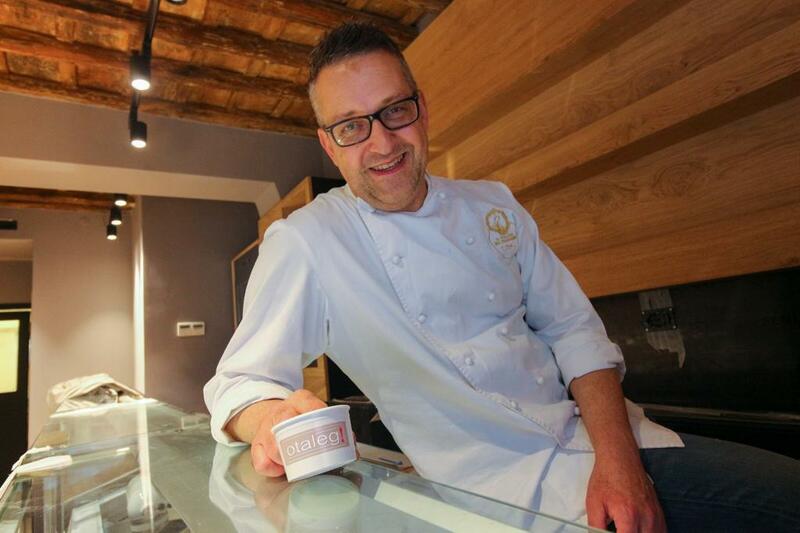 Over the years, the De’ Coltelli gelateria, now also with a branch in Lucca, has gradually caught the eye of the media both in Italy and further afield. The gelateria is always featured in the annual list of the top gelato makers assembled by Dissapore, and was named number one in 2015. Crystallised ginger is a popular ingredient in sweets and pastries throughout Tuscany. Walnuts are also a traditional local ingredient, used for liqueurs, biscuits, Christmas cakes and even savoury pasta dishes. Yep, it’s gelato spelled backwards! Otaleg reflects Marco’s innovative approach to flavour and texture and is considered one of the finest gelaterias in Italy’s capital city, Rome. Made with nocciola di Caprarola – prized hazelnuts from the province of Viterbo just north of Rome. The geographically protected ingredient is used in different ways to present three different textures in a single gelato. All the way from Brooklyn, New York, Fabio and Vittoria will be bringing their own unique sense of taste to Gelato in the Square 2018. 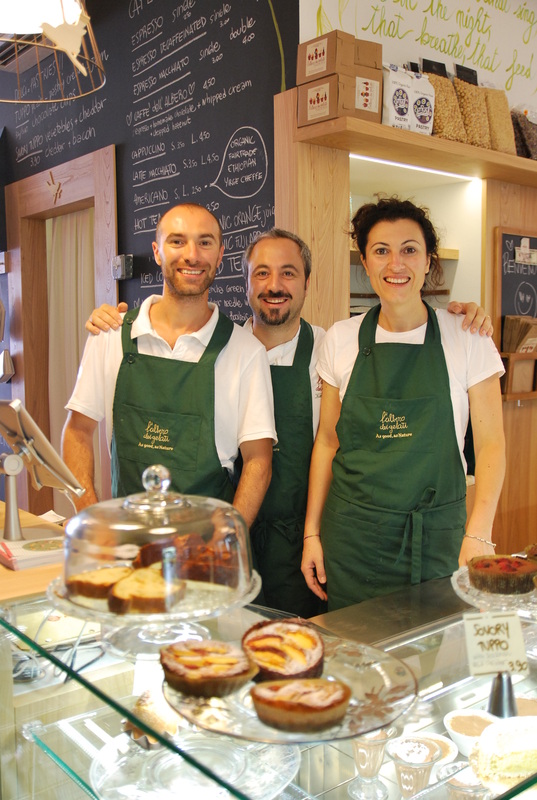 Already the owners of three gelateria in Lombardy, the L’Albero Dei Gelati brand is award winning and highly respected. L’Albero Dei Gelati means ‘the tree of gelati’. Their tree first set roots in 1985 in Lombardy, Italy through the passion of their mother and father. 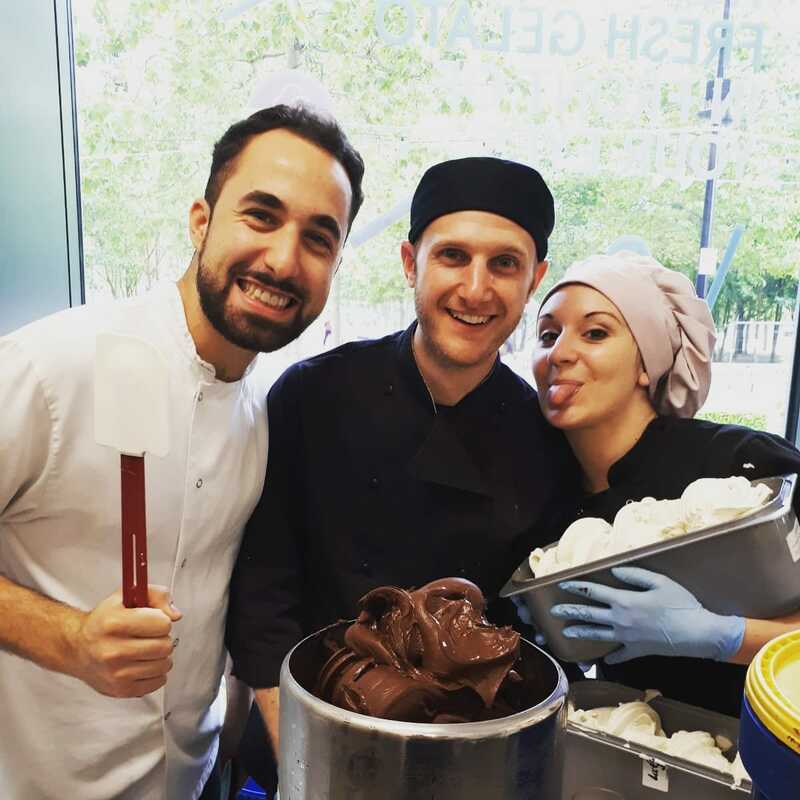 There they began making gelato by hand, using only raw ingredients of the highest quality: fresh, seasonal fruit, organic milk and cream, cocoa and sugar. Containing whisky, mascarpone and chocolate & coffee from the African nation of Sao Tome. This gelato uses unique ingredients whose flavours come from time and patience. This whisky is carefully aged on the island of Islay to develop its unique smokey flavours. The coffee and chocolate has been perfected by expert grower Claudio Corallo as a result of over 35 years experience in African plantations. Amaretto is an almond-based biscuit that is associated with Fabio’s home region of Brianza in Lombardy. The intense sweet almond flavour makes a perfect match with the soft creaminess of the ricotta cheese. The idea for the gelato came from an amazing cake made by the gelato makers’ grandmother – it brings back the sweet taste of their special memories of time with her. Established in September 2011, La Gelatiera offers its own take on the age-old delicacy and combines the owners’ family heritage of artisanal gelato making with their slow food ethic, incorporating healthy seasonal ingredients into their creations. La Gelatiera’s products are 100% natural, free from any additives or preservatives and made fresh daily. 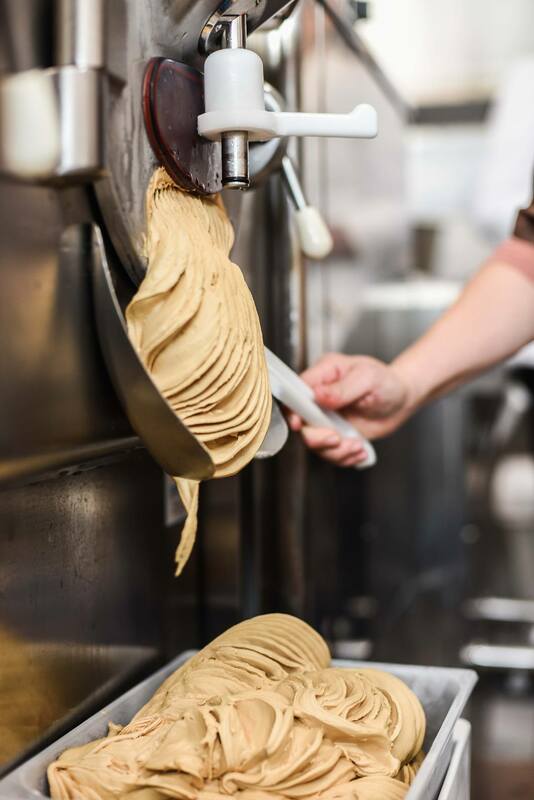 They only use the best ingredients from trusted artisan suppliers and Slow Food members to create unique flavours of gelati and sorbetti never tasted before. Designed to invoke the Mediterranean aromas of Southern Italy. The bold and refreshing rosemary and orange zest, balanced alongside Acacia honey which has a mild flavour and no aftertaste so it doesn’t overpower the other ingredients. This gelato won the Golden Fork prize for best speciality food product in London and the South West at the 2013 Great Taste Awards. 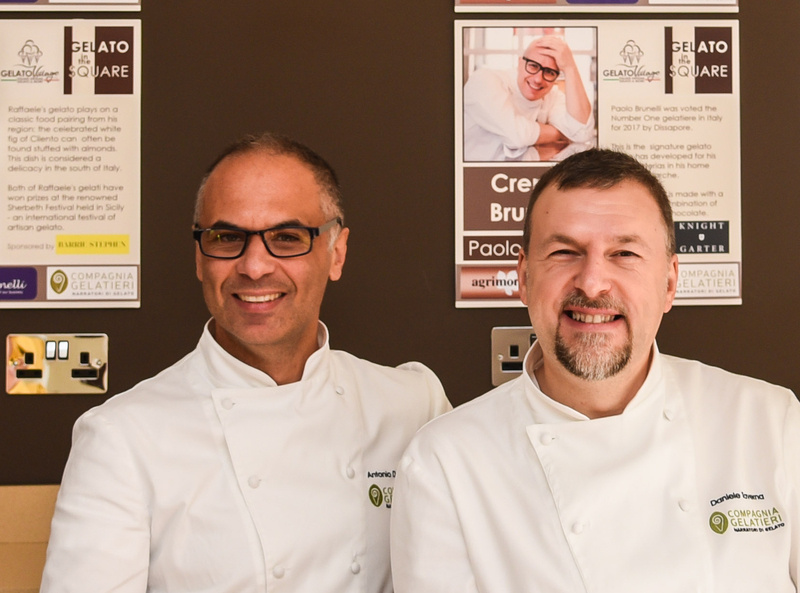 Our own home-grown stars are Antonio and Daniele, the founders of Gelato Village. Since 2014 they have been bringing authentic and natural gelato to Leicester. Coming from the region of Piedmont, they are inspired by their own Italian heritage, but they also draw new ideas from Leicester’s fantastic local producers and diverse food culture. Yoghurt, lemon zest, local honey from The Bee Farmer of Ashby-de-la-Zouch and a sprinkling of aromatic cardamom. This gelato is designed to celebrate the diverse communities and flavours of Leicester. British food culture takes local and global influences and balances them in perfect harmony, just like this gelato! Usually their Gianduia is dairy-based but for Gelato in the Square they are experimenting with a more traditional water-based sorbetto version. Our festival looks at the unique flavour journey that gelato makes. Nothing reflects this better than using whatever seasonal fruit is available to us during the festival. Gelato in the Square is presented in collaboration with Bid Leicester and Kindly supported by Agrimontana, Carpigiani, Antonelli and Compagnia Gelatieri. 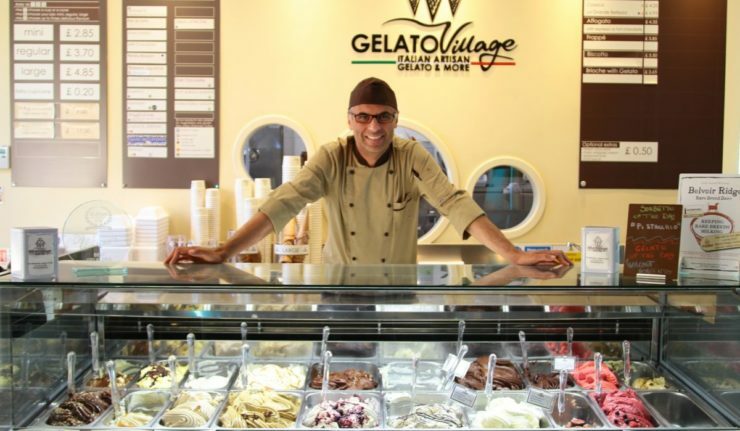 To find out the latest please follow Gelato Village on Twitter.